Although great progress has been made in the fight against discrimination at work, a person’s gender, race and faith are still decisive for the way he or she is treated at work. Women in particular are still faced with discrimination at work. Disabled people, homosexuals and people with AIDS infection are discriminated against in different, more subtle ways than before. This is stated in a report from the United Nations Labour Organisation, the ILO, published recently. 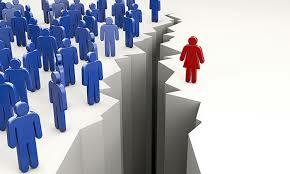 Being an important report as a whole, I am going to concentrate here on the discrimination of women at the workplace. Much has been done to curb this abusive situation, but it still exists, although at a lower level then before. If you want a way out, then I have the perfect opportunity for you to become a working from home lady or mom. 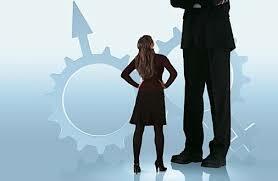 In 1951, the ILO drafted a protocol that requires equal pay for men and women. At the time, the protocol was very far-reaching, but now 163 of the 180 countries that are members of the organisation have signed it. Not surprisingly most of the refusers are Arab countries. Thailand and Singapore are among the countries that have not ratified this agreement, yet they concluded a statement in 1958 that prohibits all forms of discrimination at work. Strangely enough, the United States have neither signed the protocol nor made any agreement to the effect that women should be treated equally. Here are some typical examples that still occur on the work floor. Although everywhere in the world more and more women do paid work they still earn less than men, according to the report. The so-called glass ceiling prevents women from being given top positions and in parliaments and national governments they are still strongly underrepresented. With only one exception in Sweden where women form a majority in the government. In Asian countries, women in factories earned at least 30 percent less in 2004 than their male counterparts, and in most Western European countries it is not much better. There, on average, factory workers receive less than 80 percent of men’s wages. In Bahrain, women are most underpaid and again Sweden, but also Australia come out the best. 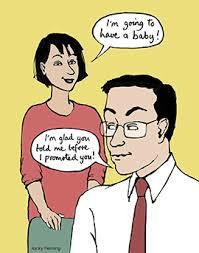 Although they are not allowed to do this in many countries, employers often still ask female applicants whether they want to have a child. Discrimination is more and more often prohibited by law, but employers are finding more and more subtle ways to discriminate against women. 31 percent of the complaints filed concern discrimination in the working environment of women due to pregnancy, childbirth or motherhood. . The complaints in the field of culture and media have almost quadrupled. According to experts, this explosion of complaints can be explained by the awareness of public opinion about the problems of sexism in advertising and the media. According to a magazine, women still earn 20% less than men and women’s organisations are actively finding out what the reasons behind them are. If you have a situation at your work, please share it with us here in the comment boxes. A problem that still leaves women with fewer opportunities on the labour market has to do with the general mentality in our society and the labour market. 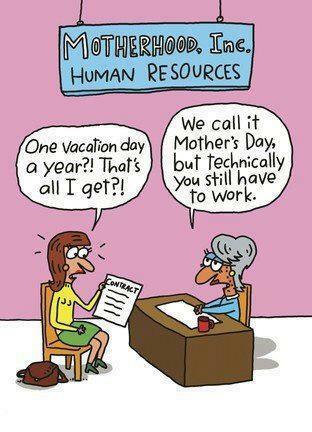 It is still the case that the standard view is that men should work full-time. Families need a second income, but if care tasks (caring for family members, raising children) must be included, in most cases it is still women who take the step to work less. We will need to deal with the stigma that prevails over men to work less, and if they do so, this will soon be perceived as a lack of ambition. Here are some more examples of still prevailing abuses. Discrimination in any form or shape is a disgusting, unsavoury issue, which should be banned completely. Discrimination at work for being a woman should be banned today. Fortunately, nowadays there are a lot of organisations that are battling these abuses and you can report your personal experiences at many places. The law is on your side. Yet, some subtle, but despicable acts of these forms of abuses still exist, as mentioned above. So, the battle should continue! However, there is one way of avoiding this abuse and this is to leave that work place and not for another company where you might encounter more of the same. My recommendation would be to become your own boss and work from home. The internet has numerous opportunities, although many of them just want to scam you out of your money. In order to build your own successful internet business, you will need the best support available, at the best price, free of scams with world class training and support. I joined Wealthy Affiliate (WA), which was established in 2005, in late 2014 when I found this once in a lifetime opportunity. As the name indicates, this program teaches you to be an affiliate, by promoting products through a website or sites. The products would be in a niche of your own choosing, based on your passions, interests and hobbies. You can read my full review of WA by clicking here. Through that review you can join WA for one week for FREE and experience this unique chance yourself. In case you have any questions, please leave them in the comment box and I will reply within 24 hours. Thanks you for shining a light on this issue. I think one of the main reasons people at work are told not to share their salaries is the discrepancy between male and female wages would certainly cause a problem. 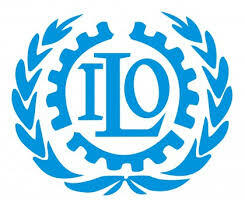 I was surprised that the USA has yet to sign the ILO protocol. I would think that after the 1960s the US would have been one of the first. Things are getting better in this country, however. As with anything, it takes time for radical change to take place. Yes, mind boggling about the US, however, here is an explanation: U.S. ratification of an ILO convention would necessitate implementing legislation that would incorporate it into domestic law, superseding any prior federal or state statutes that might have conflicting legal requirements. Thus, ratification of any ILO convention that conflicts with U.S. law and practice would mandate changes to U.S. state and federal labour law so that they conform to the ILO standards.